Attention World: I have been doing significant life things. And as every sage adult knows, the final and most important step in doing all significant life things is getting validation from the internet. We live in a beautiful world where your personally important accomplishments can live with equal importance as the accomplishments of your neighbor. If it gets enough congratulatory wishes, a picture of a plate of nachos you just made can become a major life event in the eyes of a Facebook newsfeed. So, excuse me while I take my equally deserved place among your engagement announcements and pictures of your baby eating solid foods for the first time. 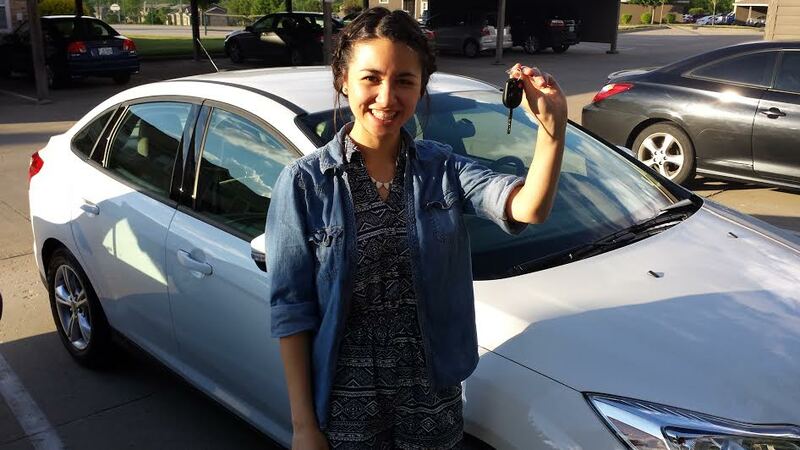 LIFE THING #1: I bought a car! That’s a picture of me with my new car. It’s mostly a picture of me and the car is more a background element. Because I am what’s important here. Another cool thing about me in this picture is I’m wearing a romper. Fun fact about rompers: when you are wearing one and need to use the bathroom, you essentially have to get naked. I’m probably going on 12 hours sans urination in this pic, which is an equally important milestone to buying my first car. My mantra regarding my car has been “I didn’t think I cared, but I actually care a lot.” It’s just so pretty and new and doesn’t smell like old pizza. A bird pooped on it the day after I got it, and now I know what it’s like to be a mom whose child is getting bullied at school. WHO WOULD DO THIS TO YOU? WASN’T ANYONE AROUND TO STOP IT? Go with someone else. They’ll be able to properly answer and ask questions when someone says something about refinancing or whatever and you turn into a pile of gooey dumbness. Don’t feel pressured to do or buy anything. I asserted my control of the situation by unknowingly having one of my shirt buttons undone. A middle button, to be exact. My bellybutton either intimidated or seduced the dealer, and I think that’s how I got a decent APR. LIFE THING #2: The audience of this blog is expanding! Through my thorough knowledge and practice of SEO, my writing has been reaching my target audience brilliantly. Hello, new friends! Welcome! I have none of the information you are looking for and all of the poop jokes you never knew you sought. Make yourselves at home. 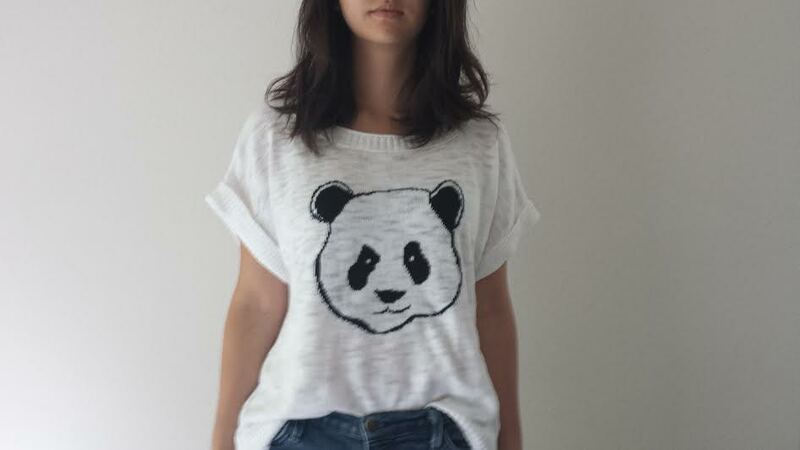 LIFE THING #3: I bought this panda sweater for $6. Yes, I did forget to buy the shaving cream that was the sole reason for my trip to Target. Yes, I am aware that being half-Asian and wearing a shirt with a panda is the fuel to someone’s fetish and/or racial stereotypes. The panda is a boy. He’s 8 ounces and machine washable. I greatly appreciate the love and well-wishes, and ask you respect mine and Tasha’s privacy at this time. Cheers to you as well, Dexter! Keep it perky or something like that.